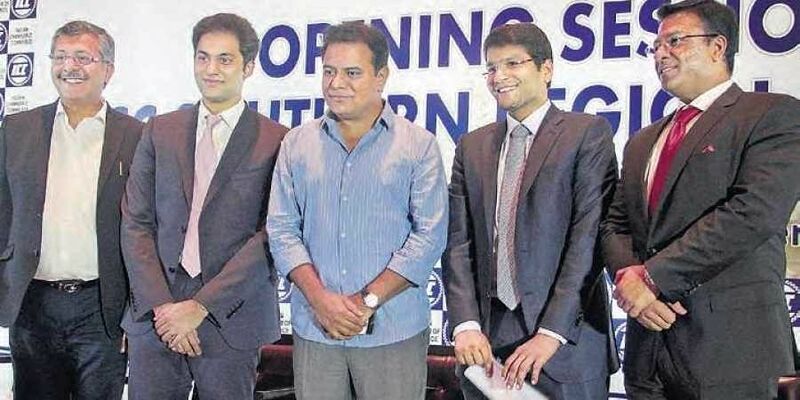 The State government would work with industry bodies to hand-hold and mentor small and medium entrepreneurs, Industries and IT Minister KT Rama Rao said here on Thursday. HYDERABAD: Telangana is working towards creating an ecosystem like Germany where more than 80 percent of companies in the manufacturing sector are small and medium enterprises. The State government would work with industry bodies to hand-hold and mentor small and medium entrepreneurs, Industries and IT Minister KT Rama Rao said here on Thursday. “India is home to many youngsters who, in the next decade, will create world-class companies and solve many problems plaguing the world. This is where I believe Indian Chamber of Commerce (ICC) has a huge role to play as these entrepreneurs need proper mentoring. ICC has a bigger opportunity than CII and FICCI, in reaching out to the large untapped market of small and medium entrepreneurs,’’ he said after launching the ICC council. ‘‘If you look at Germany, more than 80 percent of the companies in manufacturing sector are small or medium and they actually provide more employment than large corporates. We aim to create an ecosystem here similar to Germany’s. ICC should hand-hold and mentor small and medium companies and provide them the much-needed policy advice and eco-system,” KTR said. “Owing to the ease of doing business here, we were able to attract 6,700 new industries and $20 billion investments and create direct employment for 5 lakh people in the last three years. The state government will extend all needed support to ICC and work towards growth of industries and businesses,” he said. “ICC is planning to focus on more sector-specific issues and reach out to neglected segments of industry, unlike CII and FICCI which focus more on large corporates and bigger events. We will work on bringing smaller and medium entrepreneurs and start-ups on one platform to address the challenges and spot opportunities. While there are about 1,600 members in ICC now, we plan to add another 300 members through Southern Regional Council in the next one year. This will not only strengthen us but also help us work with the government to address various issues concerning industry,” said T Rajiv Reddy, chairman of ICC’s Southern Regional Council.